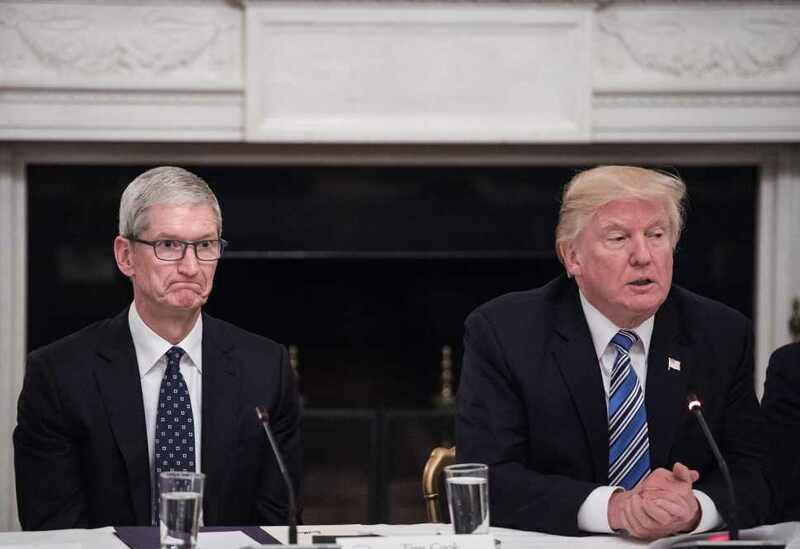 San Francisco, March 7: A blundering US President Donald Trump on Thursday addressed tech giant Apple’s CEO Tim Cook as “Tim Apple” while the latter sat there, nodding quietly during a meeting at the White House for the American Workforce Policy Advisory Board. Trump then reportedly went on about the “invasion” of immigrants over the southern border and human trafficking which he said had been going on for “a million years”, according to the Evening Standard. Did Tim Cook Become Tim Apple, After Donald Trump’s Gaffe? Twitter is Proof. “We appreciate it very much, Tim Apple,” Trump told Cook during a meeting at the White House for the American Workforce Policy Advisory Board to discuss technology eduction and jobs, The Guardian reported. A video featuring Trump and Cook also went viral on all social media platforms as users posted memes pertaining to the incident. “‘Mr. Apple’ is sitting there like, ‘I can’t correct him because he’s the President but I can’t let him continue looking like an idiot! What do I do?” a YouTube user commented on the video. “Donald Trump says his meeting with Tim Apple went better than his meeting with Bill Windows,” a tweet read. Post the incident, some people declared Trump “unfit to be President”, suggesting him to undertake “immediate medical attention”. Trump has a history of mispronouncing people’s names and even messing up the names of executives before. He once called Marillyn Hewson, Lockheed Martin CEO, Marillyn Lockheed. On one occasion, Trump has been attacked for forgetting the name of public figures like Israeli Prime Minister Benjamin Netanyahu.